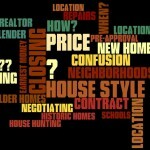 Heights home prices are up and inventory is down. Heights home inventory is so low that I’ve had to show homes the day they come on the market in order to get offers in ahead of others. Location is still key of course, but the toughest homes to find are the immaculate remodeled homes, and the opposite extreme, the home with great bones to be remodeled. Both are under contract within days. Decent land is almost impossible to find too. Builders and individuals wanting to buy a lot are not finding much land available. What is available are the fringes of the Heights. Anything great is snatched up right away, often before it goes on MLS. Increasing land prices are pushing up costs of new construction. The new homes sell very quickly too. So, if you are thinking about selling; it’s a good time, Heights home sales are booming. 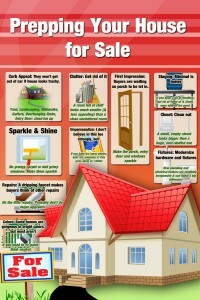 If you are a buyer, do your homework and be prepared to jump on that dream home when it comes on the market. My chart above shows Heights sales through November. These are single-family homes, condos and townhome sales are not included (but negligible anyway in the Heights). October/November sales volume is about 30% higher than in 2011. December sales are strong too. 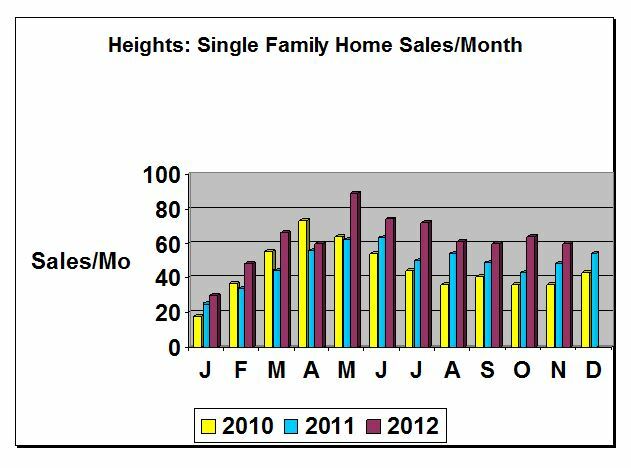 HAR reports that Houston Home Sales are up 27% in November. Sales are strong, inventory low. In fact the home inventory is the lowest I have ever seen it, at 4.1 months inventory. 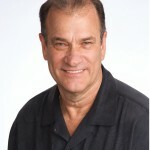 (The months of inventory is the number of homes on the market divided by the sales per month.) 5-7 months inventory is typical. Above 7 is typically a buyer’s market; below 5 months inventory is a seller’s market. Buyers are having a tougher time now. They can’t dawdle, and they can’t make low offers. I will write about new home prices within a few days. I will also write about the boom in remodeling in the area. Subscribe to my blog (right-hand column) to be notified when these posts come out. If there is a topic you want covered, just let me know. 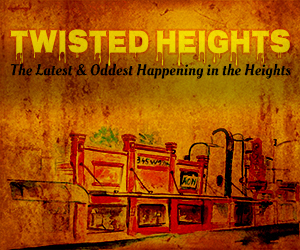 If you are not familiar with the Heights, see Neighborhood Pages, at the top of this site. 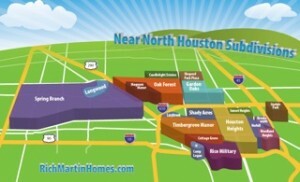 I cover different areas like Houston Heights Homes, Woodland Heights Homes, and others. I apologize for not writing much lately. Colds, hectic schedule, doing too many other things, and Christmas are all my excuses. My 94 year old Mom also went into the hospital for a day, but is back at home going strong again. She was even the host for the family Christmas dinner. The world is good, and the new year will be exciting.